Macadamia Nut Oil – TrūIQ® is proud to bring an oil that has some amazing, and surprising, benefits to our product line! Extracted from the nut meat of the macadamia tree which is indigenous in Australia, macadamia nut oil was once considered an exotic product. It was commercially used starting in the 1930s and is still gaining ground in the cosmetics industry. It is high in monosaturated fatty acids that are very moisturizing, regenerating, and softening to the skin. In addition to these benefits, it is anti-inflammatory and anti-microbial, giving the skin a younger look. 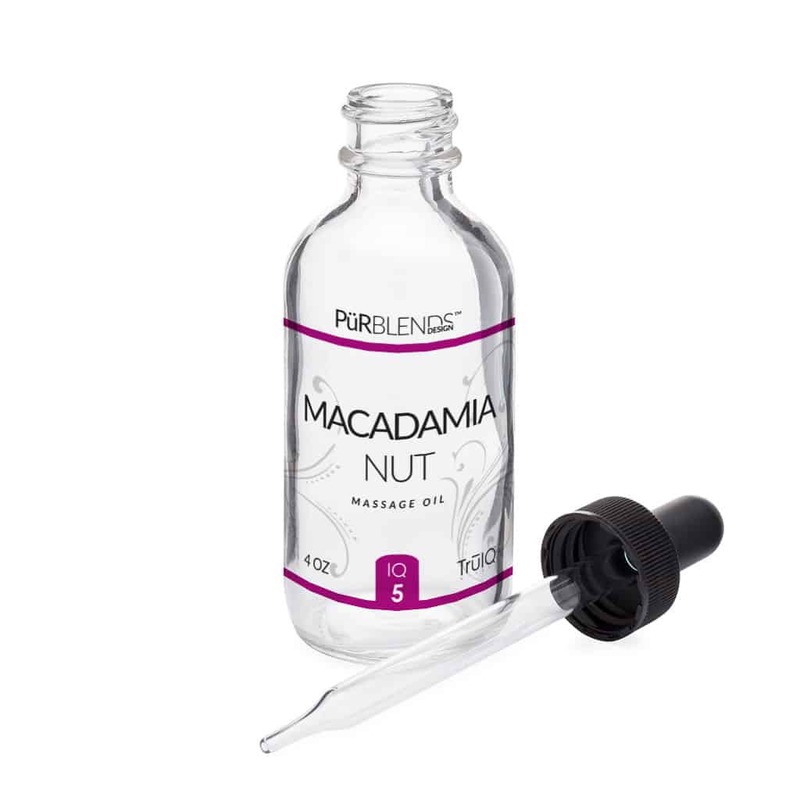 Macadamia oil contains one of the highest sources of palmitoleic fatty acids, between 16 to 23%. Palmitoleic is vital for delaying wrinkled skin and premature aging; as our skin ages it rapidly becomes depleted in this important fatty acid, which is why macadamia is the perfect inclusion for mature skin types. By applying the oil topically, you will improve your skin’s palmitoleic acid levels. This decreases the rate your skin will deteriorate, keeping it taut and discouraging wrinkles from forming. Palmitoleic acid is a potent antioxidant known to support healthy cell membranes, hydrating the skin and supporting skin healing. Macadamia nut oil can be a wonderful way to moisturize the skin on a daily basis, particularly for men who regularly shave. Rather than using traditional shaving oils, the smooth, anti-inflammatory nature of macadamia nut oil can help soothe the skin and moisturize it at the same time, leaving smooth, healthier skin behind. The rich acid content of macadamia nut oil also makes it beneficial for your hair; mixing it into natural shampoos can help to increase the shine and health of your hair, and strengthen the follicles in their beds, reducing hair loss. You can also make natural lip balm with macadamia nut oil and beeswax to significantly boost the appearance and health of your lips; the rapid healing properties help chapped lips very quickly and reduce any inflammation in sores or wounds. Macadamia nut oil is high in Omegas 6 and 7. 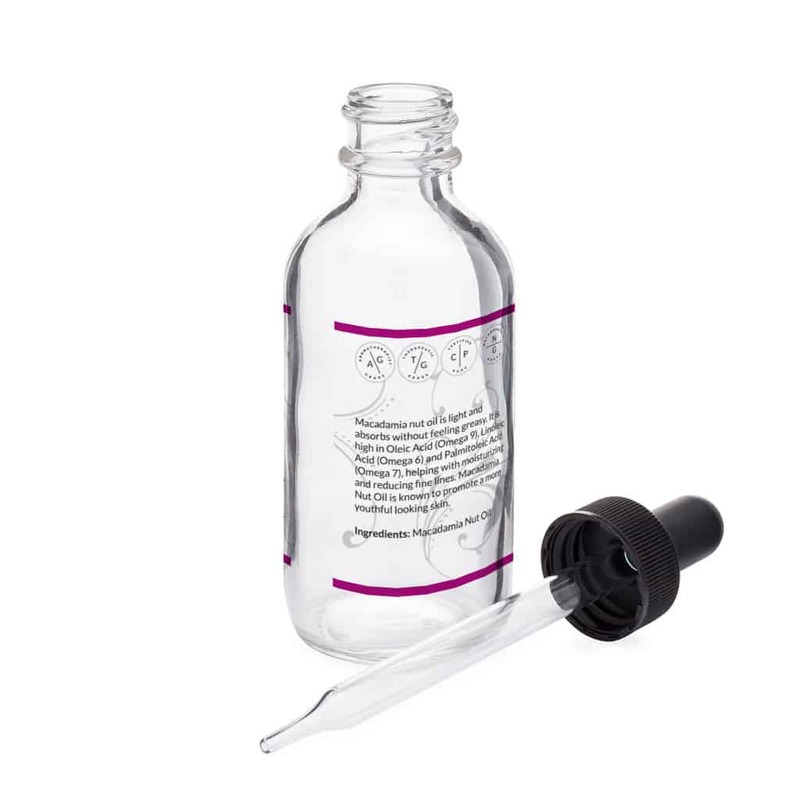 Omega 6 creates a barrier to reduce water loss on the skin and Omega 7 slows the signs of skin aging, reduce the appearance of scars, soothe sunburns and other minor skin irritations. High in monosaturated fatty acids that are very moisturizing, regenerating, and softening to the skin. In addition, it is anti-inflammatory and anti-microbial, giving the skin a younger look. The rich acid content of macadamia nut oil also makes it beneficial for your hair; mixing it into natural shampoos can help increase the shine and health of your hair, and strengthen the follicles in their beds, reducing hair loss.